7 Comments on "Easiest Ever Lemon Brownies"
is the oil 2 or 3 tablespoons… ??? your video is different than the printd recipe.. thanks! I checked and there is no discrepancy. Both the printable recipe and video call for 3 tablespoons of oil. 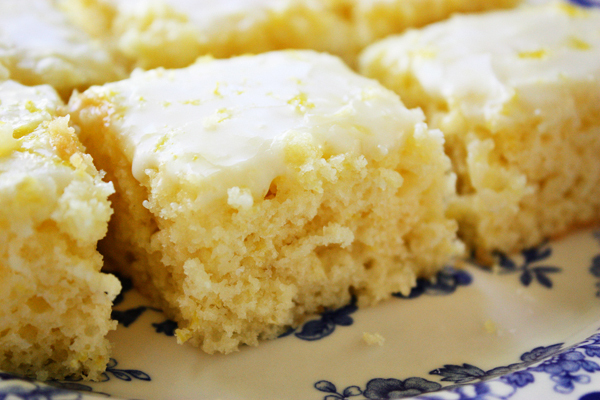 The Lemon Brownies are delicious! Can the recipe be doubled and baked in a 13×9 pan? Jenny, these brownies are amazing!!! What a flavor burst! Mike’s comment was “Oh my God, these are awesome!! !” I made them last night and I used the left over fresh lemon juice in my green tea this morning. They taste as great as they look!! You rock my sista!!! I just made these and they were DEEEE-LICIOUS!! !